Okay, I'll admit it. I have a shopping problem. It's not clothing, shoes, furniture, or anything else you would normally expect...it's toiletries! I could spend the entire day at the drug store buy nail polish, face wash, makeup, shampoo, body wash, really anything that I can pass off as a "necessity." I can't be the only one who does this, right? One of the things I've managed to stock up on is Listerine mouthwash. We have so many bottles under the sink, my husband has finally said either I have to start using them, or he's throwing them out. I can't say I blame him, either. We really have no room left. So instead of draining all the mouthwash down the sink, I decided to look into how I could use it other than as a breath freshener. Ladies, let me tell ya, we have been wasting our mouthwash! There are so many ways to use it that I never would have thought of! Especially as sandal season approaches, it's time to get those feet looking nice and fresh! Not everyone has the time or the money to go get a professional pedicure, but that's not a problem. Toenail fungus can be dealt with using a mixture of Listerine and warm water. Soak your feet for 30 minutes and you'll be good as new! The mixture also helps to rejuvenate your feet, moisturizing your cracked heels and dry skin. Methyl salicylate, which is found in Listerine is chemically similar to salicylic acid, which is an exfoliant. Basically, you can pamper yourself using nothing but some mouthwash, and get yourself super ready! If you're looking for a way to clean your toilet without as many harsh chemicals, or you're like me and you find the smell of bathroom cleaner too intense, you can use Listerine to do it instead! The anti-bacterial properties will disinfect your toilet, and the scent will deodorize it. Pour a little Listerine on your toilet brush and scrub the toilet bowl thoroughly. Flush the toilet, and bask in the glory that is your clean toilet! 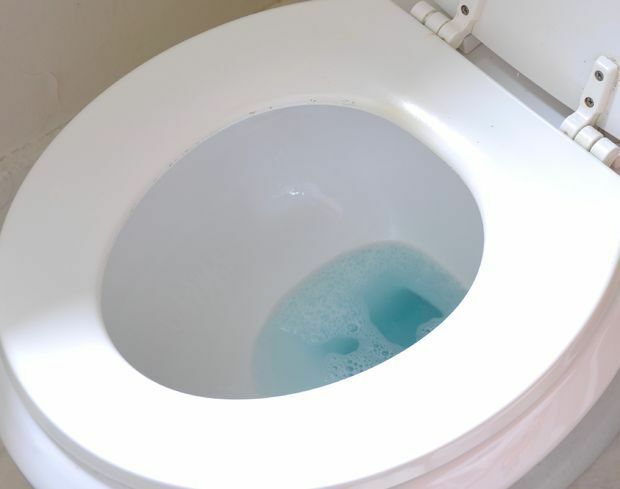 Of course, it's a good idea to give your toilet a deep clean about once a month, but for the in-between cleanings, a little Listerine should do the trick! I don't know about you, but mosquitoes like to eat me alive during the summer months. 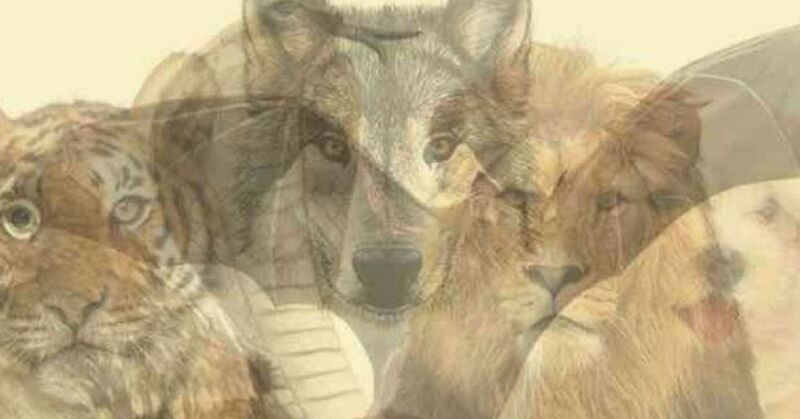 I can wear thick clothing, use repellents, and do basically everything else people recommend, but I always come home with more bites than a normal person should have. While Listerine can't really prevent the bugs from biting you, it can help relieve the itching sensation that drives you mad. Just dab some on a cotton ball and apply it to the affected area and feel the itch disappear! This would also work for rashes like poison ivy. We've all been in a situation where we thought we had an extra stick of deodorant lying around, but we really do not. Instead of running to the store in a panic, or trying to go about your day without raising your arms, just grab some Listerine! Put some on a cotton ball and rub it under your arms to leave yourself smelling fresh all day. 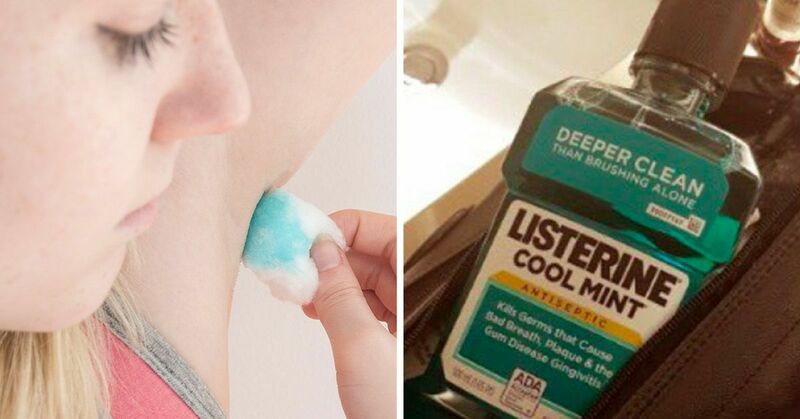 You can also use this trick if you're wearing a shirt that you want to avoid getting deodorant stains on, because we all know how hard those can be to get rid of! A dry and itchy scalp can lead to dandruff falling all over the place. 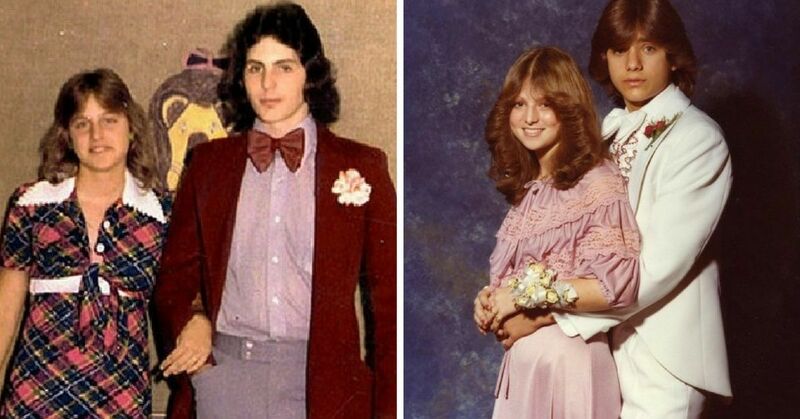 Sure, it's more or less harmless, but it's not a look that anyone really wants to rock. Luckily, instead of buying expensive dandruff shampoo, you can use some of the Listerine you probably have lying around. The eucalyptol, thymol, methyl salicylate, and menthol, which have anti-inflammatory, antiseptic, and antifungal properties, help reduce the irritation on your scalp and prevent dandruff. 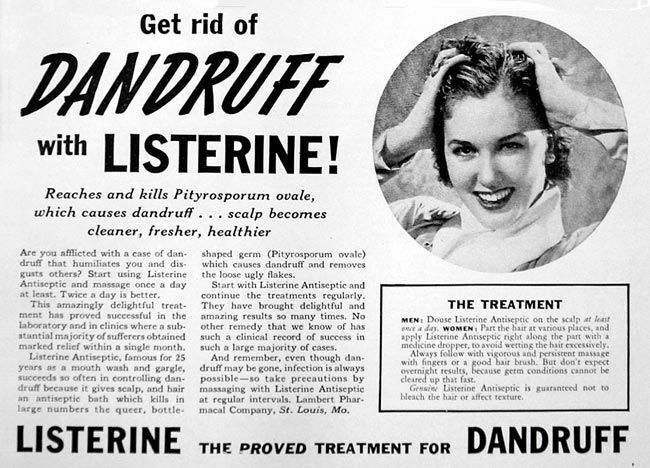 In fact, in the early 1950s, Listerine was marketed as a dandruff cure. Simply massage some Listerine onto your scalp and wrap your hair in a towel. After letting it sit for a few minutes, wash it away and say goodbye to that dandruff too. Alright, this fix isn't for you, but it's for your dog, which is just as important! 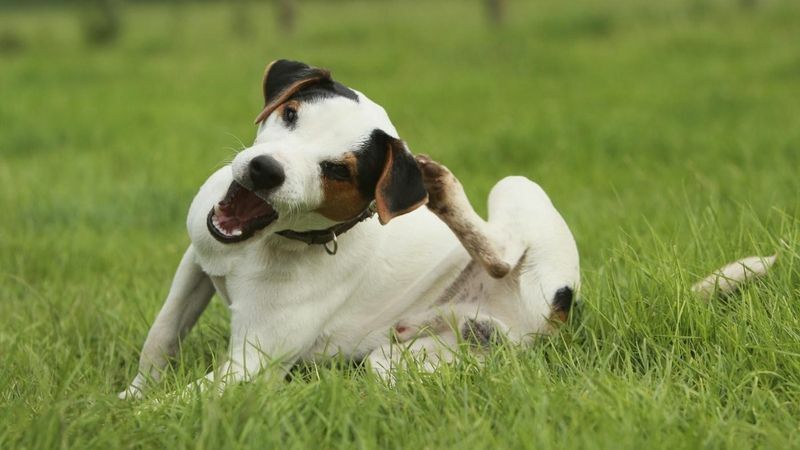 The same properties in Listerine that help fight your dandruff, can also help prevent fleas on your pooch. Try mixing some Listerine with your pup's shampoo or dilute it with water in a spray bottle to take advantage of its positive benefits. The same properties which keep your feet nice and smooth can also help your face feel fresh. The menthol leaves a cooling side effect, and the same antibacterial properties that prevent cavities also help to treat acne! It helps prevent breakouts, and also dries out any pimples you may currently have which speeds up the healing process. Use a cotton swab to dab Listerine on any pimples you want gone and let it work while you sleep! You can also use a cotton ball to rub the mouth wash all over your face. This sounds weird. Isn't your toothbrush already clean? Not really. When you leave it out on the bathroom counter day after day, it can collect bacteria from the air, especially if you keep it near your toilet. 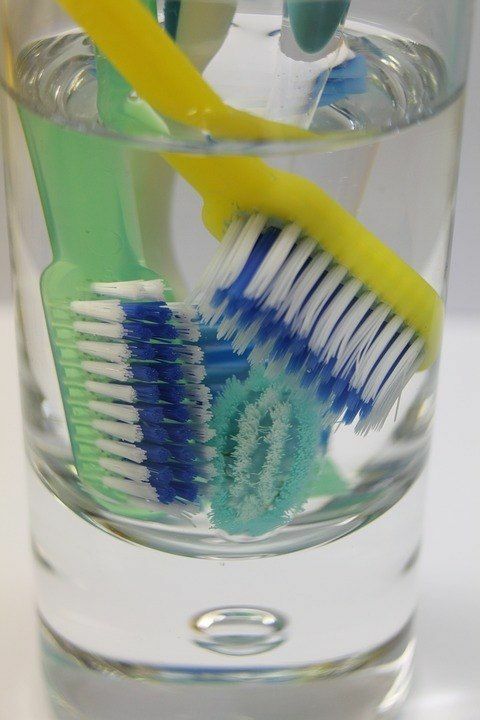 But letting your toothbrush soak in Listerine can kill the bacteria that's built up on it over time, and also prevent any fungus from growing in the damp bristles. Anyone who owns a computer or smartphone (so really everyone) has dealt with a screen full of fingerprints and dust. You don't want to take a damp rag to your electronics for obvious reasons, but you also can't stand how dirty the screen is! Easy fix for you: spray some mouth wash on a dry rag and wipe away all the dust! 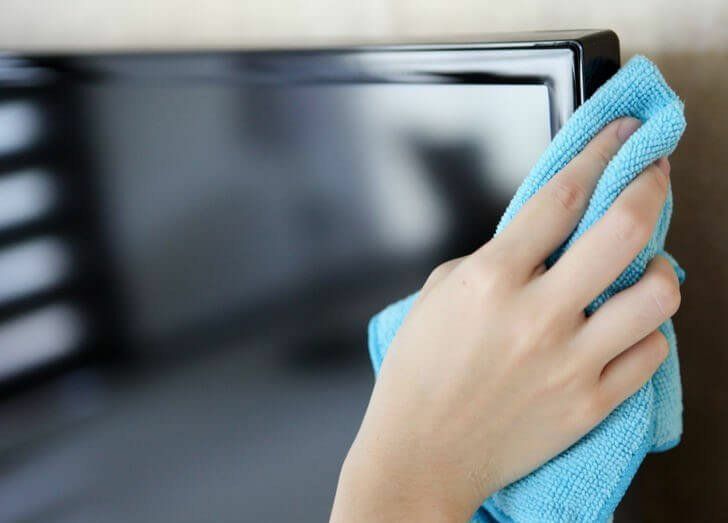 The oils and dirt that have built up will be wiped away, and it will also tackle those annoying fingerprints. 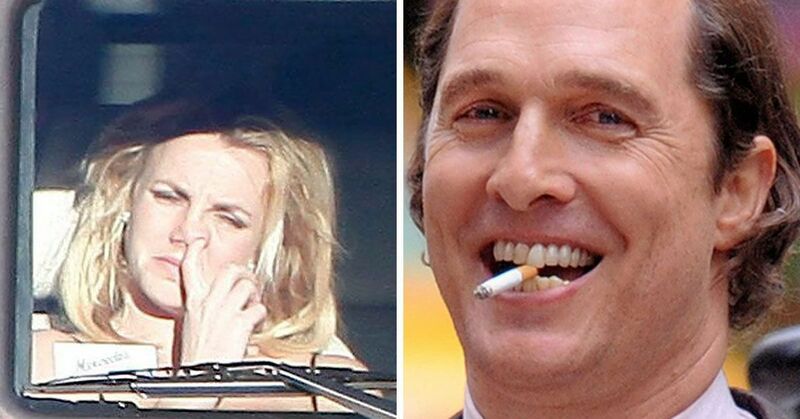 Plus, your screen will be left smelling minty fresh. No, not in the way you're thinking! 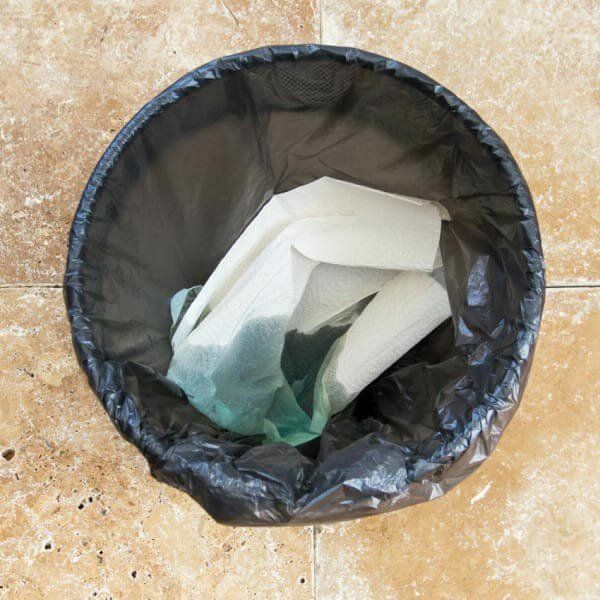 If you have a problem with smelly trash in the kitchen (or anywhere else) you can soak a paper towel in Listerine and put it at the bottom of the bag. The smell will overpower your trash, and it will also prevent bacteria from growing at the bottom of your garbage bin. Who doesn't want that? The other day, I got a frantic call from my sister saying my niece had lice. She started freaking out, but I told her to try my Listerine trick. Soak your hair in Listerine and then cover it with a shower cap. Let it work its magic for two hours and then wash and rinse your hair like normal. It worked, my niece's lice was gone, and my sister could stop panicking. I'll take that as a win any day! I'm about as clumsy as they come, and far too often I end up with bruises on my legs from just bumping into things. The problem is, the bruises can be unsightly during the summer months when I walk around in shorts, so I'm always trying to find ways to heal them quickly. I learned that Listerine is a great way to heal your bruises, and I haven't turned back since! Dab a Listerine-soaked cotton ball onto the bruised area. It will help the blood to flow and help the bruise heal faster. 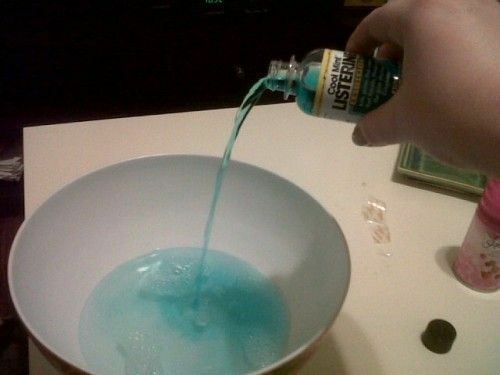 What crafty way do you use Listerine?